During the summer months, the city enjoys a variety of sports that aren't always catered for. The council provides pitches for sports such as rounders, stoolball and softball at Preston Park, and other sites. 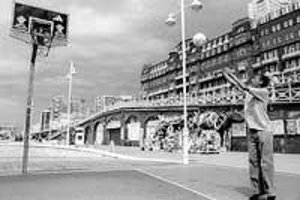 There are several basketball courts throughout the city, including at Preston Park, Hove Park, and on the Seafront. None of the courts are bookable in advance - just turn up and play. For more information on local basketball, you can check the Brighton Cougars Basketball club website. Rounders is a nine-a-side bat and ball game played predominately in the United Kingdom. 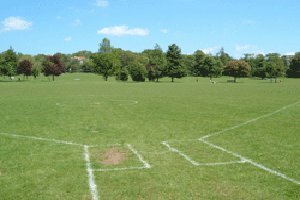 It's best known as an spontaneous leisure game, but we can offer marked pitches for adult leagues and work teams. Stoolball is a game popular in Sussex. It is an 11-a-side ball game, played with a short bat and square board wickets. We can offer you a pitch for your game, or put you in touch with local clubs. Softball is a nine-a-side bat and ball game that originated in the USA. Its parent sport is baseball, but it takes place in a smaller diamond and play is generally faster. We can offer a marked diamond, or give you details of local teams. There is a baseball field marked out at Waterhall. Download our full list of sports fees and charges for 2016-17 (PDF).